The Compass is the new kid on the block, ideal for guidance, assisted steering and fully integrated autosteer when a fully featured display isn’t required. The Compass has a 7” colour touchscreen and can be activated for ISO VT enabling control of spreaders, balers etc. The Compass gives a superb choice of guidance and autosteer options. Autosteer ready tractors, combines, sprayers etc aren’t a problem along with hydraulic platform kits for the majority of agricultural machines. 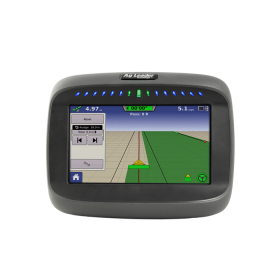 With the Compass there are plenty of GPS options, Agleaders Egnos GPS1600, the GeoSteer autosteer system covers Egnos, Omnistar and RTK via radio or Ntrip. 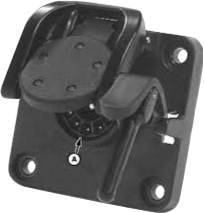 The Compass can be activated for ISO VT enabling plug and play with compatible machines, control your baler etc.